MacMillan & Co, 1967, Hardback in Dust Wrapper. Condition: Very Good - in Poor DJ. DJ generally worn and rubbed, with several small tears at edges, but complete and now wrapped. 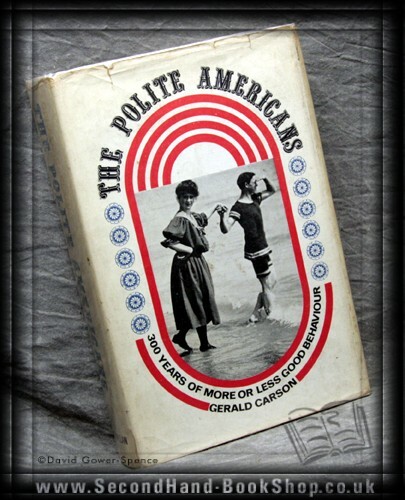 This is a lively history of public and private behaviour in America, ranging from Pilgrim to Post (Emily, of course). Illustrated with B&W photographs. 296pp. Index. Bibliography.